We're chatting about the war on plastic waste in this week's issue, and finding out about how coffee shops are doing their part to reduce waste. We've also heard all about how over-16s are getting the vote in Wales... and are those... monkey clones?! You'll have to check out the science page to find out! 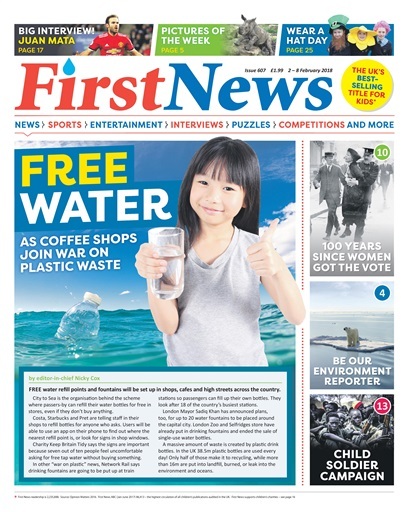 Plus, puzzles, prizes, sports, entertainment and more – all inside this week's fantastic issue of First News!